***Made using real watch workings, this is NOT a picture. ***Made using resin to give the watch workings a 3 dimensional shape. This is NOT a glued on glass dome. 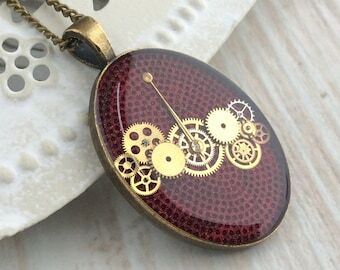 A very stylish arrangement of recycled watch parts have been used for this bronze-plated pocket watch pendant, to give a watch face effect, made using real watch workings. Back filled with a beautiful hand mixed bright blue paint to make the workings pop, before being sealed with a crystal clear resin to really allow the light to reflect off the workings. ***You will receive the EXACT pendant shown in the pictures as each set of watch parts used will vary, making each pendant unique. Lovingly packaged as shown, so it is ready to gift as soon as you receive it. Available in a choice of chain lengths to suit your style. 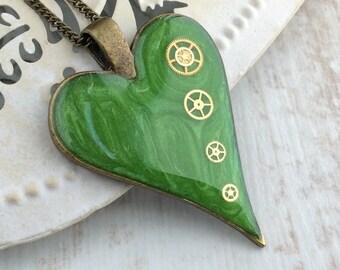 This necklace is handmade by One Dotty Duck and cannot be found anywhere on the high street. Stand out from the crowd. Items made using resin can sometimes contain tiny bubbles. This all adds to the beauty and uniqueness of handmade items. 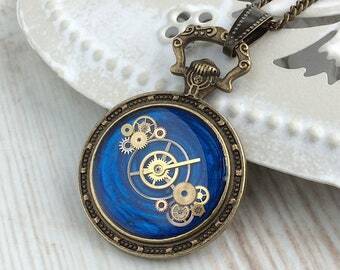 Blue Steampunk Necklace. Blue Pocket Watch. Alice in Wonderland. 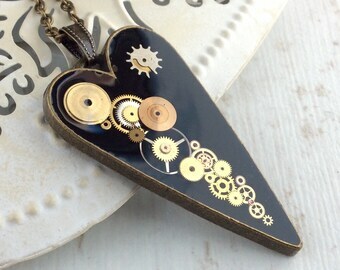 Bijoux Steampunk. 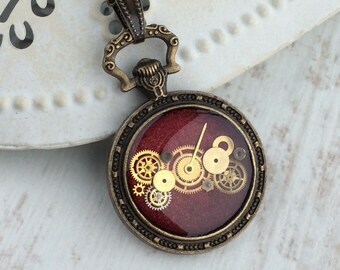 Pocket Watch Pendant. 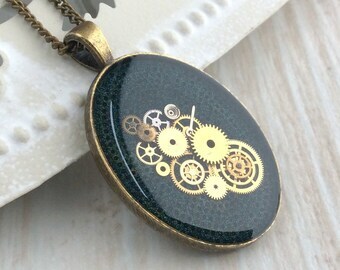 Steampunk Pendant. Watch Lover. 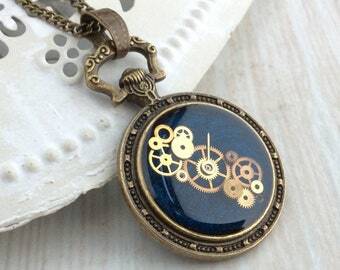 Time traveller Necklace. Black Pocket Watch. Bijoux Steampunk. 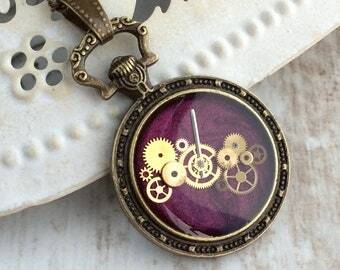 Pocket Watch Pendant. 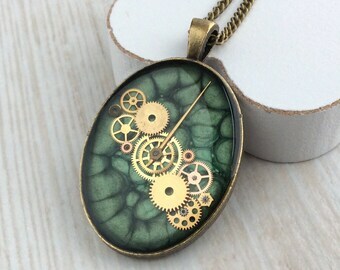 Steampunk Pendant. Watch Lover. Alice in Wonderland. 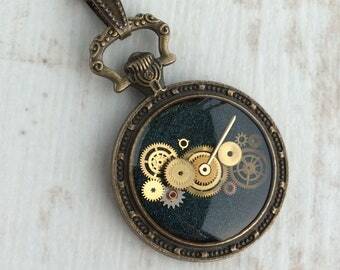 Pocket Watch Necklace. Black Pocket Watch. Bijoux Steampunk. 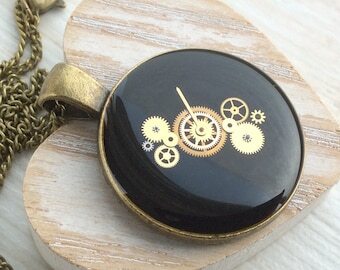 Pocket Watch Pendant. 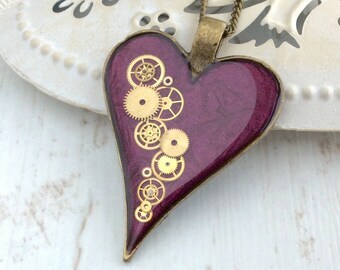 Steampunk Pendant. Watch Lover. Alice in Wonderland. 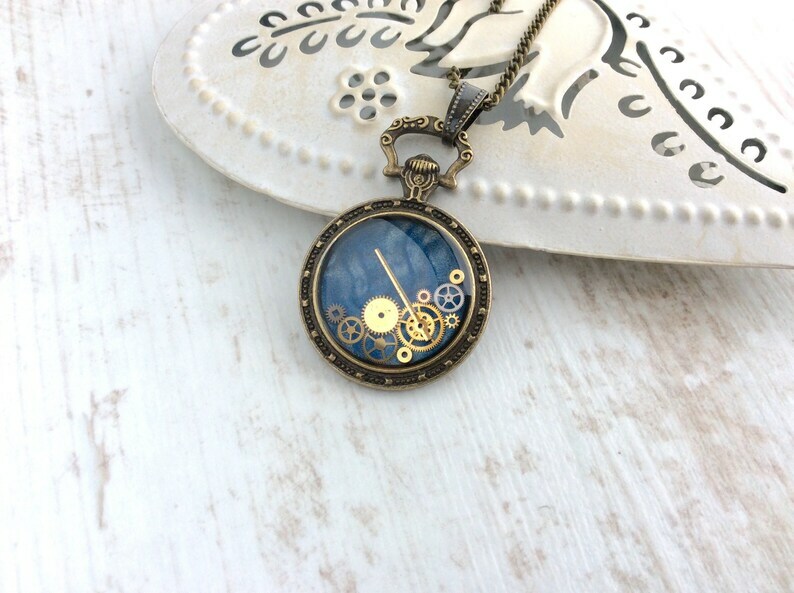 Pocket Watch Necklace. 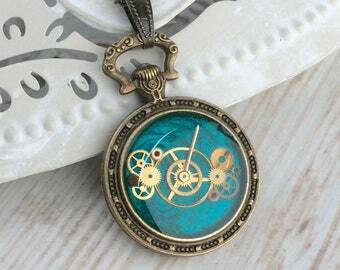 Teal Pocket Watch. Bijoux Steampunk. 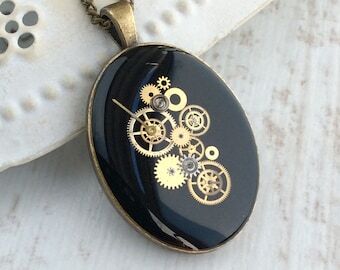 Pocket Watch Pendant. 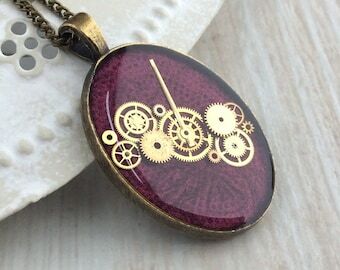 Steampunk Pendant. Watch Lover. Alice in Wonderland.